I have always been the type of person to enjoy a good martial arts program. Whether it’s Les Mills Combat, X3 MMX, Kickboxing, Taekwondo, or anything that has you fighting (even though it’s not a real fight!) There’s just something empowering about kicking and punching. 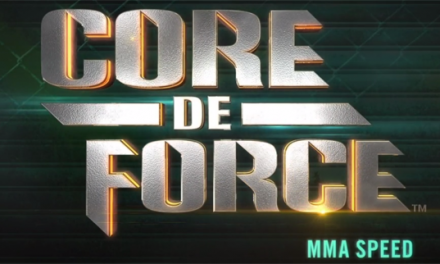 I’m really looking forward to this new Core de Force program with Joel and Jericho. Another great thing about this program will be the nutrition aspect. Fighting through your workouts, and fighting to gain control of your sweet tooth for 30 days! I ran across this Q&A with the Trainers of Core de Force and thought you may enjoy it. One more thing to add. I’m going to be taking a small exclusive group of people through a challenge group. Daily accountability, support, and motivation to get you through the 30 day program. If that interests you, let me know by using our contact form. If you want to stay up to date with free email updates, and to know when the program is released, sign up here. What inspired you to create Core de Force? 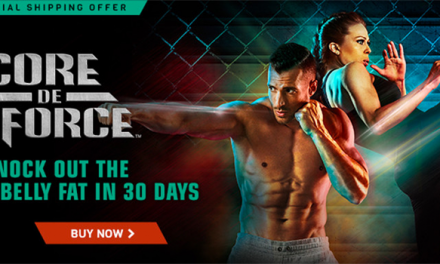 Jericho: A super fun, results-driven workout that will blast your core and shred your entire body using fight-style combinations and simple, but highly effective conditioning exercises that’ll make you feel invincible! Joel: Nope! Jericho and I teach all the breakdowns of every move, no matter your fitness level. There’s even a ‘Learn It & Work It’ video before every workout that also breaks down technique and form to maximize your results! Joel: Absolutely! In Core de Force, everyone can work at their own pace! In each workout there’s a modifier that shows a less intense move option. Also, Beachbody® On Demand will have a dedicated “modifier window” feature which gives you a constant view of the modified moves! Joel: We made sure the Core de Force nutrition plan was just as fun as the workouts! There are some of our favorite healthy food recipes in the plan—like BBQ chicken pizza and Jalapeño Cheese Burgers! And since Core de Force is a higher intensity program, you’ll get to eat more than you think! Jericho: It’s a core-blasting, fat-torching, full-body sculpting program. You’ll tighten and tone everything and become stronger from the inside out. You’ll also increase your cardiovascular fitness, endurance, speed, agility and coordination—and your confidence!